It’s almost December and although stores have had Christmas decorations out since before Thanksgiving, how many of us have actually begun focusing our thoughts and hearts on the Christ of Christmas – Jesus? Let's look for Jesus this year! 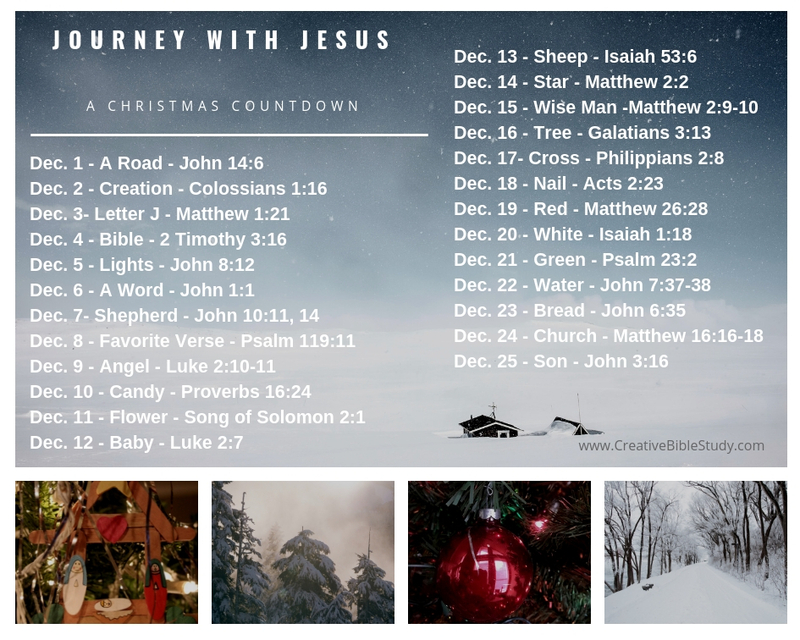 We have put together 25 Christmas devotions to help us focus on Jesus as we move towards His birthday. Each devotion uses a visual object that's seen during this season to help us connect His Word to His world around us and also as a reminder of Him as we see each of these during this Christmas season and beyond. You can also use each object to share Jesus on social media or with friends & family by daily snapping a photo for a visual with the Bible verse or use as a photo challenge to get others involved in celebrating the Christ of CHRISTmas too! It’s a fun way to enjoy the presence of Christ each and every day as we look towards celebrating His birthday! We'd love for you to tag us so we can see your posts celebrating Jesus! Christmas Object Lessons and Christian Christmas activities can be woven into the 25 days leading up to Christmas to add Christ-focused meaning. Keeping Christ as the center of our Christmas celebration is also vital as we pass along our faith through Christmas traditions. We pray you, your family, and your church family have an amazing Christ-centered Christmas in His Word and His presence! Merry CHRISTmas!